Perfect opportunity to own your home with beautifully appointed, modern finishes in popular Englewood neighborhood convenient to nearby hospitals, dining, shopping, entertainment and public transportation. 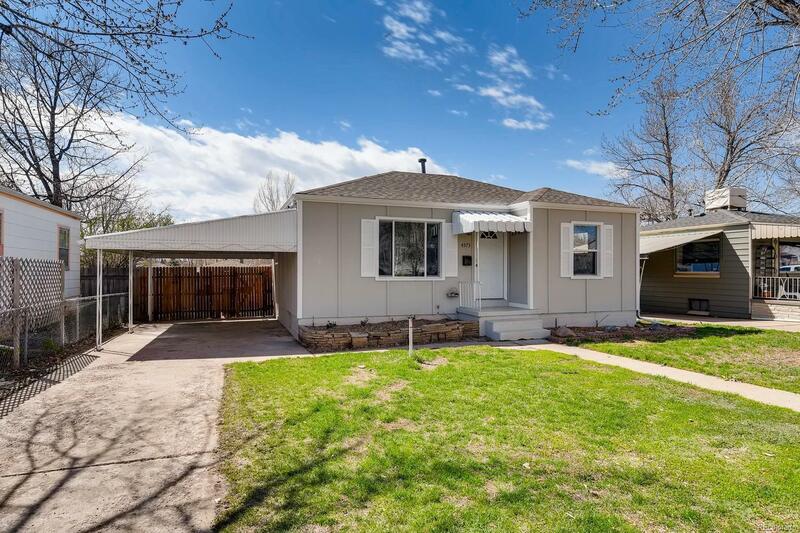 Refinished hardwood floors greet you at the front door and take you through the main level's 2 bedrooms and fully remodeled bath with updated fixtures and tile details. The open, bright kitchen boasts quartz countertops, breakfast bar, and stainless steel appliances. Fully finished basement includes 2 non-conforming bedrooms, fully remodeled 3/4 bath and family room; additional space for relaxing and entertaining. This home also has plenty of space to park and store your cars and toys with an attached car port PLUS detached 2 car garage. Back yard is fully enclosed with privacy fence, gate for access and is equipped with covered patio, basketball hoop and additional concrete pad patio area. This home is just waiting for new owner's imagination and personalization!